These surveys have been scrapped based on the recommendations of a task force headed by economist and former head of NITI Aayog, Shri Arvind Panagariya. It has been pointed out that since the surveys are carried over a period of one year and are made available at a lag of another year, it makes the data lose its relevance and desirability for informing policy-making as it is unable to take into cognizance the rapid changes taking place in the economy. It has also been pointed out that the NSSO-EUS is a low frequency data since it is carried out only once in five years and hence is unable to inform policy at regular intervals. The committee has recommended developing a data system that would be replacing the existing surveys, and would be addressing the issues of representation, periodicity, timeliness and hence reliability of the data. In the meantime, due to a lack of statistics on employment and unemployment, several sources have been explored by some research commissioned by the government, to get an idea of the employment situation, which included using the information from the Employees’ Provident Fund Organisation (EPFO), Employees’ State insurance (ESI), State Employment Registers and so on. As these sources are entirely based on self-reporting mechanisms and are not survey-based information, it fails to provide any adequately reliable information on the current situation. Much has already been written to identify the problems of over or underestimation associated with such sources. In fact, by making such figures public, the overall context of the debate and discourse on the prevailing levels of joblessness in the economy has got convoluted due to unfounded conjectures and speculations. Survey-based information whether enterprise based surveys or household surveys, work on the principle of recording and enumeration by trained investigators and are based on detailed questionnaires. Hence they form a much more reliable tool for collecting information and inform policy. It is in this overall context, that the government needs to be reminded about the importance of the NSSO-EUS, the purpose it served and the opportunity cost to be borne by the economy for an overall scrapping away of the surveys. The NSSO-EUS, like all the other surveys conducted by the NSSO embodied the idea with which the organization was instituted in 1950 by Professor Prashanta Chandra Mahalanobis, widely regarded as the father of Indian statistics. His vision for the organization was to obtain and quantify comprehensive information on an annual basis on the socio-economic, demographic, sectoral and other profiles of the country, both at the national and state levels. Thus NSSO developed a methodology based on multi-stage, multi-subject and multi-purpose cross-sectional surveys, conducted annually for some and five-yearly for others (such as EUS and consumer expenditure) and covers a wide range of subjects.The NSS data are collected and disseminated by the National Sample Survey Organization NSSO) of India, which is a part of the Ministry of Statistics and Programme Implementation (MOSPI). Researchers and organizations ranging from the ILO, World Bank and Planning Commission of India to academic and private institutions have been using these data extensively. The data have been used extensively by researchers to publish in peer-reviewed journals. It has also informed news articles, reports and other media. In addition to the data published in its reports, the NSSO also has unit-level (household and individual) data, which are a vast source of information on the individual households on several aspects at much larger dis-aggregated levels, which are not available in published reports. The first nation-wide comprehensive survey on employment, unemployment and labour force was conducted in the 9th round (May-November 1955) of the NSSO. These surveys were regularly carried out up to the 17th round in the rural sector and 22nd round in the urban sector with different concepts and approaches tried in different rounds making the comparability of data difficult and limiting the validity of long term trends. Based on the recommendations of the Committee of Experts on Unemployment Estimates set up by the Planning Commission in 1969 (Dantwala Committee), the NSSO standardised the concepts and definitions of labour force, employment and unemployment, which were then adopted in quinquennial surveys (large sample sizes of over 100,000 households) on employment and unemployment and were conducted since 1972-73 (27th round) in rural as well as urban areas. This first quinquennial survey made a marked departure from the earlier more simplistic employment surveys conducted by the Census and NSSO in terms of procedure and content. The concepts and procedure followed in this survey were based on the recommendations of standardization made by the above-mentioned committee. It also drew a lot from the contemporary global discourse on strengthening the databases of the macroeconomic indicators of paramount importance such as the employment and unemployment estimates.India adopted some of the most important resolutions passed by the International Conference of Labour Statisticians (ICLS), the world’s recognized standard-setting body in the area of labour statistics. In the 1960s and thereafter the government of India adopted the international standards of classifications and categories in the realm of labour statistics thus setting the stage for building a rigorous, comprehensive and internationally comparable employment-unemployment data system. The quinquennial surveys, based on such standardized methods thus served as an extensive source of information pertaining to not only the levels of labour force participation rates, work participation rates and unemployment rates, but have also been a source of rich information on the levels of under-employment or disguised unemployment, different categories of workers, their living conditions and contractual status (self-employed or wage employed and their types), level of wage rates and earnings, occupational structures, status of informal labour and several other indicators of the quality of the workers and the non-workers. These surveys remained a substantial source of employment data dis-aggregated across religious and social groups as well as by the socio-demographic trends, for the past 42 years. In all, there have been a total of ten rounds of these surveys which do provide long term insights to the changes in the Indian labour markets. There exists a continuity as well as comparability across these employment-unemployment data at several broad and dis-aggregated levels. The data are also internationally comparable. Albeit, the NSSO survey architecture and the sampling designs are complex and technical and are not easily accessible to the general public. However, the purpose with which it was designed in order to be as representative as possible, primarily catered to experts and thus served its ends adequately. Some of the most complex surveys such as the EUS would also be the ones supplying the minutest details of labour market situation in India.Although, the sampling methodology adopted by the NSSO is described in detail for the users to understand the methodology clearly, it needs to be recognized that given its complexities, replicating such a methodology has not been feasible for individual researchers or research organisations. Further, the expertise required for reading and interpreting as well as extracting raw unit level NSSO figures have also remained limited over a long period of time. However, in the last few years several initiatives in the form of increasing online resources, writing blogs, workshops and training for students, researchers, practitioners and others to facilitate the interpretation of this data increased its accessibility and usefulness substantially, even for the non-technical audience. The NSSO data are also highly validated. This is because first, the process ensures that the fieldwork for the national sample is carried out by teams of experienced and highly trained investigators from the Field Operations Division (FOD) of the NSSO. Second, each state conducts a parallel survey, supervised by the Directorate of Economics and Statistics. This survey uses a larger sample size and the sample overlaps with that of the nationally commissioned survey. Third, the FOD scrutinizes each questionnaire for logical correctness and the questionnaires found to be invalid are surveyed again. These steps ensure the validity of the survey and thus make the NSS the most valuable source of information on India’s economic and social parameters that are of critical importance to policy-makers and researchers. However despite such rigorous methodologies, the NSSO data have not been free from critical appraisals. The NSSO has been criticized on several grounds such as the estimated size of the population. In NSSO-EUS, it has always been on the lower side and hence even for the quinquennial rounds the data have been approached with caution while using for an in-depth analysis at the lowest level of industries or occupations.The data are not completely free from the errors of identification, enumeration and tabulation. 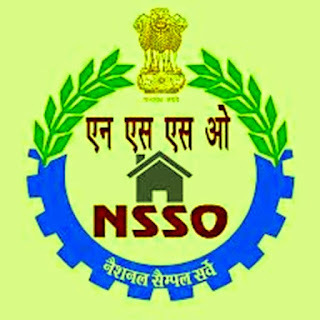 These critical examinations of the NSSO data have in fact led to major improvisations and corrections in revising the sample methodology which in turn made the database more robust, reliable and representative.The methods also underwent changes in altering the questions of the survey schedules so as to adopt, accommodate and be able to supply detailed information pertaining to the Indian labour markets in the context of the rapid changes that took place across the globe over the period. Properly extracted and tabulated, NSSO-EUS helped immensely in the analysis of trends and also in the evaluation of the impact of government interventions, thus playing an important role in influencing the overall macro policy framework of the country. The NSSO-EUS data has been a dynamic process evolving steadily over time to take into cognizance all matters important to analyse the structure of the Indian labour market. In the recent global discourse of defining ‘work’ and distinguishing between ‘work’ and ‘employment’, the government of India is mulling on adopting the resolution passed by the 19th ICLS, held in Geneva in October 2013, in order to recognize and provide framework to measure all work, paid and unpaid. India has been a proactive member of several ILO committees and task forces, in the past, that have looked into redefining several categories of labour market indicators and working towards integrating the labour statistics with the other domains of the data systems. In India, the NSSO under the MOSPI, with its years of experience and expertise have been leading the initiatives effectively. The sudden scrapping away of such surveys and discontinuing an important source of extensive information on important economic and social parameters, based on grounds of certain limitations of sampling adequacy, periodicity, timeliness and relevance - i.e. limitations which were easier to correct and revise rather than discard in its entirety, comes as an act of ‘throwing the baby out with the bathwater’. In the process, what it has essentially created is a situation where there is no actual information on the status of labour force, workforce and unemployment rates of the country since 2011-12 (or 2015-16), which in a way justifies the above mentioned statement made by the PM. The irony however is, such a data-less, uninformed situation has been created by none other than the government itself!Under such a situation, it becomes all the more imperative to reinstate the household surveys conducted by the NSSO and make the figures available in the public domain at the earliest.